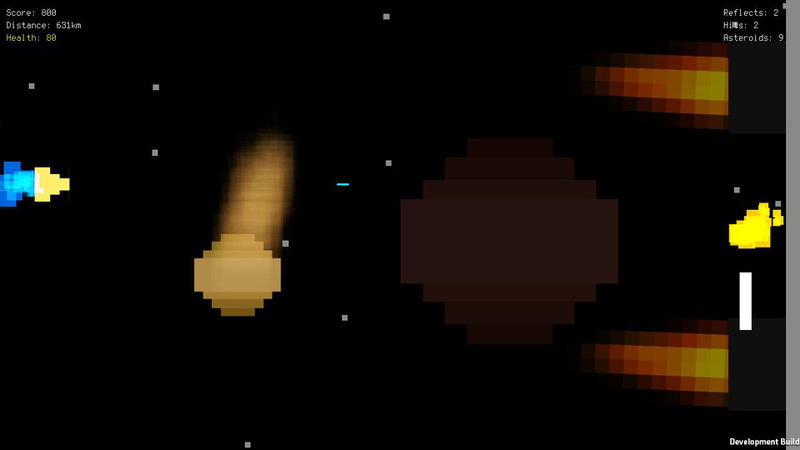 Endless Runner meets Pong meets... a 2D Space Shooter. The game is for two players to compete against one another. The player who controls the paddle must deflect the opponent's lasers. Ultimately Futile 2D Space Shooter is an indivdual project made in Unity3d. 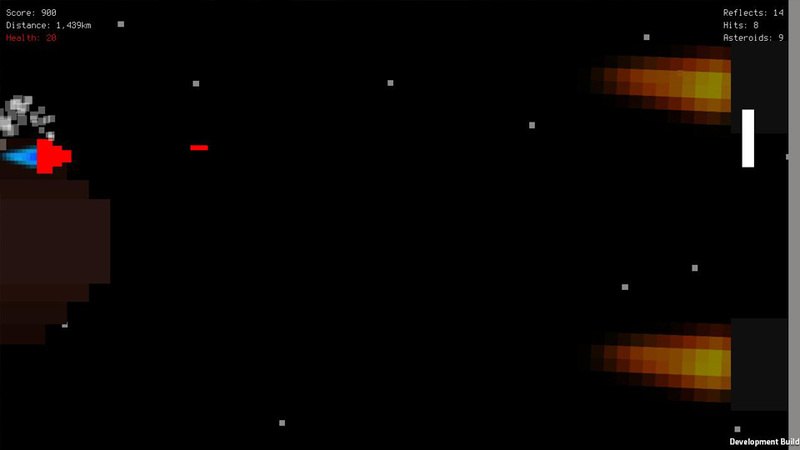 One player controls a space ship, tasked with shooting the rear of a ship, with the other player tasked with defending the ship by reflecting the lasers back. For no particular reason, the defender can call in back-up, by way of a reasonably sized asteroid. UF2DSS was my first individual project in Unity, mostly to reaquaint myself with the C# language. 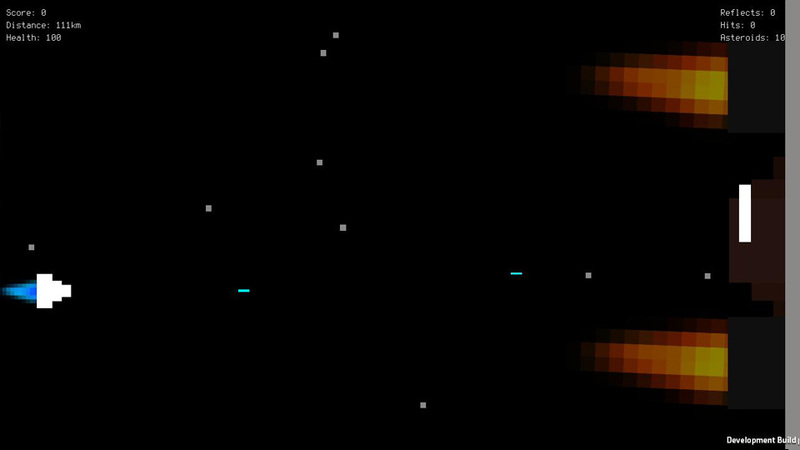 I initially was creating a generic space shooter when I realised I could at least do a small twist on the formula by introducing a pong-style mechanic. The reasoning behind the haphazard game mechanics was the result of me wanting to learn how I could implement certain elements in future projects, such as the regenerative health and the inaccurate bullet reflection mechanic. The gameplay itself is reasonably entertaining when played correctly, however players can abuse the regenerative health mechanic by simply not firing their bullets until they're back at full health.